Fall is here already! This year has flown right by me and I feel like I’ve accomplished nothing. I’m currently in the process of turning my boyfriend’s new house.. okay he’s had it for a year but life gets busy! Anyways, I’m in the process of trying to make it more homey.. as in I’m decorating and slowly trying to finish rooms. 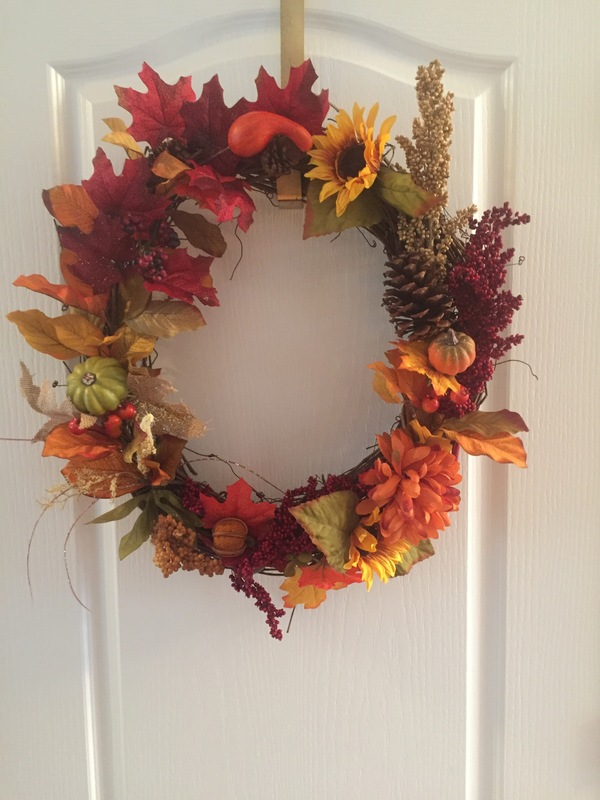 Because it is fall, my most recent project has been a homemade fall wreath! I ended up making 5. Why? 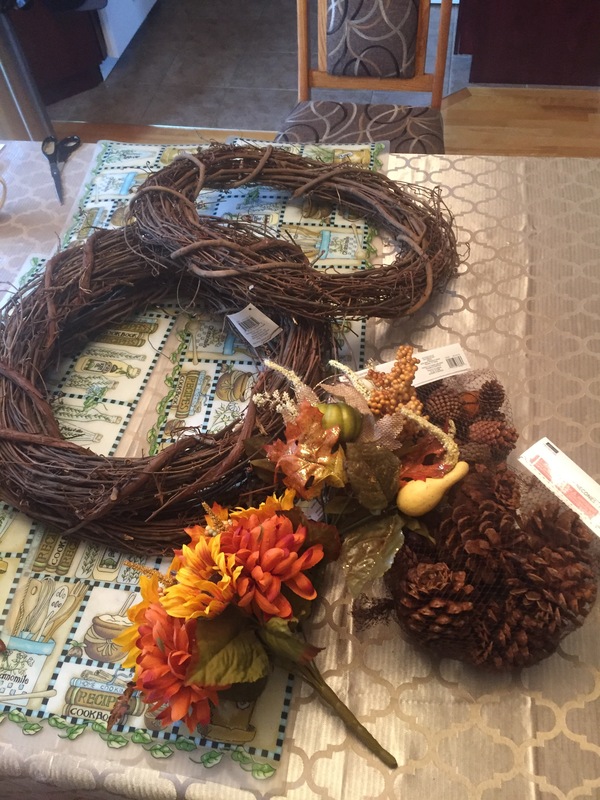 Because when I was looking at wreaths they cost at least $80 each!! I made all five, with all the materials for $125. I only need one of course, but the others were used as gifts. 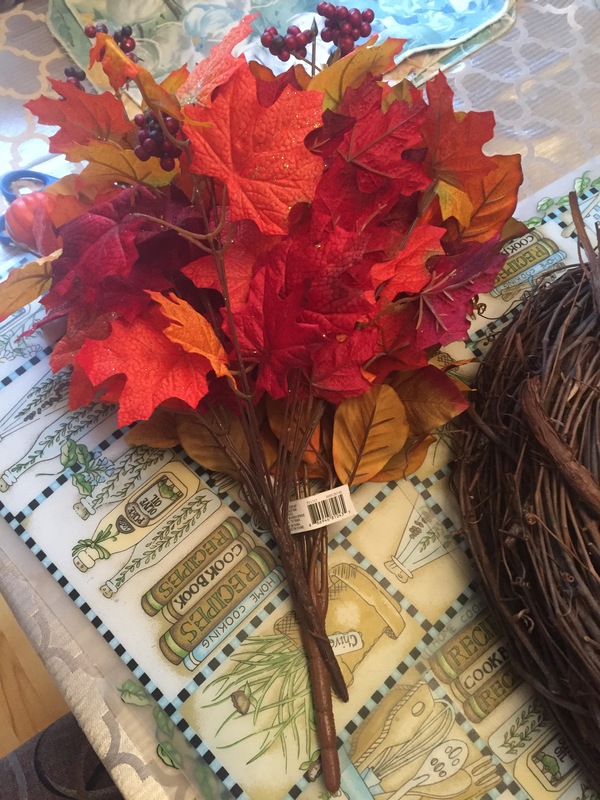 You start with the flowers and foliage, since these came in a bouquets, I cut them up and separated them. I did this in order to be able to see what I have but to also make it easier to place in the base. Place them however you want, working the stems into the base, watch they don’t stab you when poking through the other side. 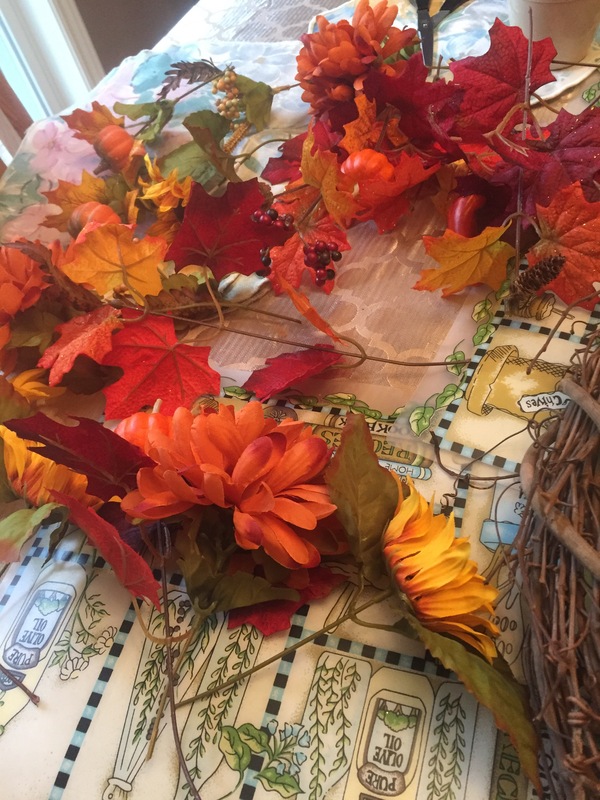 After arranging all of my flowers and foliage, I held up the wreath to find any bare spots. This is where I added in the pinecones. Don’t forget to keep in mind where your bottom will be. It looks better when the plants all sort of face the same way. A focal point helps so you remember when you hang it up. I used a large pinecone to help me. All in all, this craft took me maybe an hour to make all five of them.. not counting my attempt to cut the flowers with scissors and then breaking a pair.. Oops! Even though I used all the same material for the wreaths, they all came out looking different which I’m happy about. I’m thrilled with how they turned out and I can’t wait to move on to my next project! 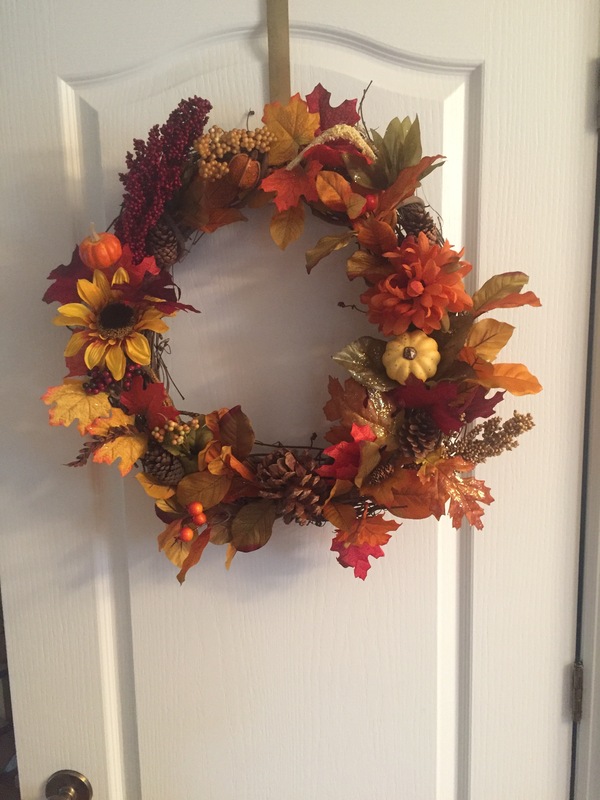 Are there any crafts that you guys love doing? Let me know if you have any suggestions!